Rev. Thomas Coke (September 9, 1747 – May 2, 1814) was the very first in a long line of bishops of the Methodist Church. As the first bishop he was given the responsibility to consecrate the second bishop, Francis Asbury. Upon that occasion, Bishop Coke preached a sermon that can offer to the United Methodist Church today a glimpse into the mind of our first bishop and an idea of what he thought was important for a bishop in the Methodist Church. The second presentation of the sermon is with the language and focus of the sermon shifted from talking about Francis Asbury to a focus on all Methodist bishops. The sermons are also available as a pdf for downloading to copy and share. It’s not copyrighted since Bishop Coke died 202 years ago. And he might be pleased if his sermon is utilized today to strengthen the church for whom he gave his life. We would appreciate if you reference West African Writers as the source of your copy. 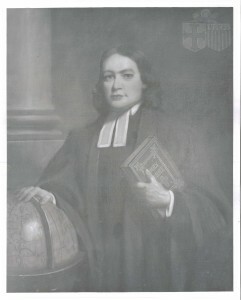 Bishop Coke’s sermon on the occasion of the consecration of Francis Asbury as the second bishop of the Methodist Church. Bishop Coke’s sermon updated to address all Methodist bishops. Notes and explanations on the sermon.